Madeleine Thien's debut novel is about a radio documentary producer in Vancouver who is haunted by her family's past in war-torn Malaysia. Family secrets and unanswered questions about the past animate this compelling debut novel by Madeleine Thien. Gail, a radio documentary producer in Vancouver, is haunted by her family's past in war-torn Malaysia. She embarks on a journey to learn the truth about her father Matthew's traumatic experiences in his native village, which was occupied by the Japanese. She's also driven to find out more about Ani, a childhood friend with whom her father shared a profound connection. 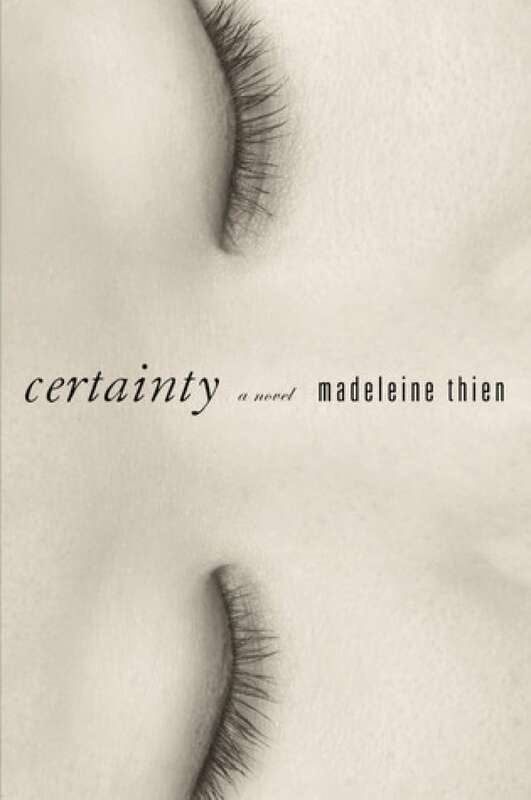 Certainty won the Amazon.ca/Books in Canada First Novel Award in 2007. In the bedroom, Matthew wakes hearing music, a song played on a phonograph, the rustle and scratch of air on the recording. When he opens his eyes, the dream and the music evaporate. The windows are open, and a cool breeze drifts through the room, holding the curtains aloft. Moonlight gleams off the roofs of the houses, and the leaves shift in the trees. He pushes the covers aside and sits up. When he first arrived in Vancouver, Matthew felt free in this city. The buildings showed no wear, they seemed untouched by the passage of time. Indeed, it seemed as if once they reached a certain age, old buildings came down and new ones replaced them. The mountains, near and distant, the ocean, all these things changed from day to day, never quite the same. During the winters, it rained almost all the time, sheets of water like a brush coating everything, dimming the sounds to a quiet murmur. From Certainty by Madeleine Thien ©2006. Published by Emblem Editions.